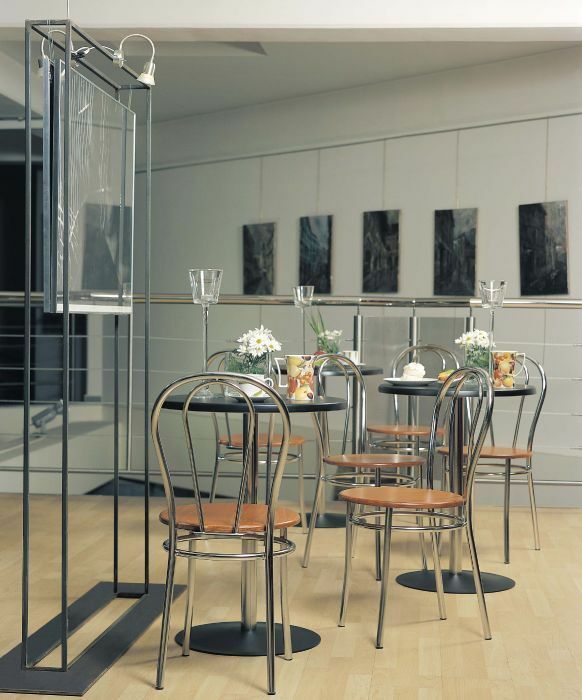 Traditional bistro chairs with a durable steel frame in a choice of four finishes and a plywood seat polished top nine colour choices. 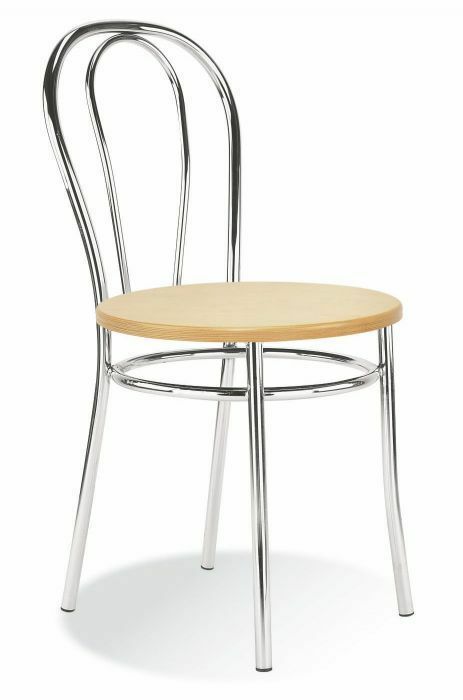 Available from stock with a beech seat and chrome frame. Sophisticated bistro chair that can be purchased for both domestic and commercial use. This is a well known and popular design. Sleek bistro chair allowing more room, this chair is available from stock with a classic beech woood seat.